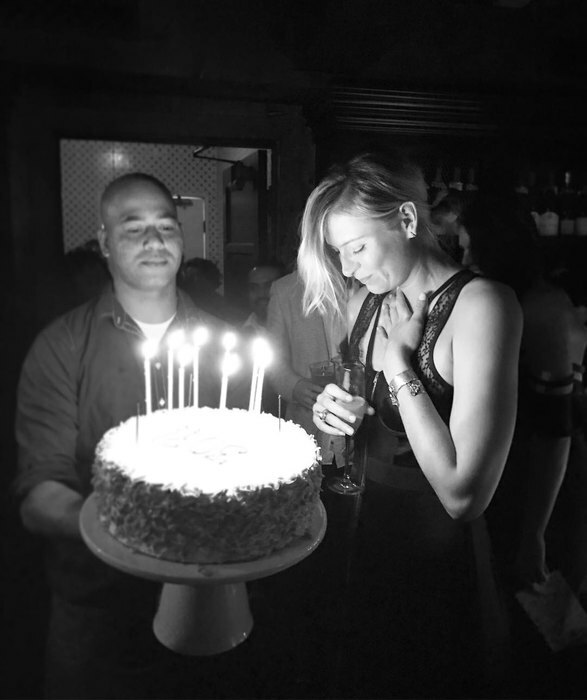 On April 19, the famous tennis player Maria Sharapova turned 30 years old, but she decided to call friends at a party before the due date. Maria gathered a noisy company in the Hollywood restaurant A.O.C. Maria willingly shared on Instagram photos from the holiday. On one of them she stands at the entrance to the restaurant, leaning her hands, and jokingly comments: "This is the entrance to the club of 30-year-olds." 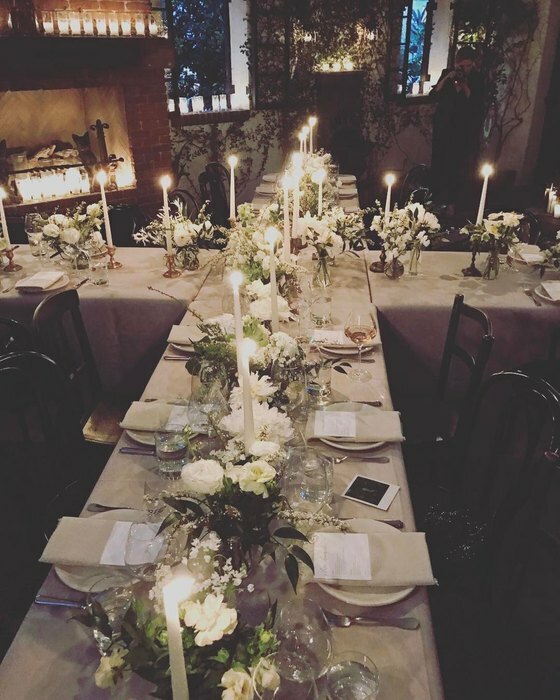 Also, Sharapova showed the festive table and shared her shots with her friends, among whom was the famous American swimmer Ariana Kukors. At the end of the evening, in full darkness, Maria was given a holiday cake, the sportswoman also shared this moment with her subscribers. Attentive fans of Sharapova noticed that at the evening the sportswoman was without a man. In an interview with The Times, Mary admitted: "I do not have a boyfriend, if that interests you. Over the past year I've had a lot of dates. I just enjoyed meeting with different people - different cultures and different professions. From this point of view, I have a vast geography. " Earlier, Sharapova had been dating Slovenian basketball player Sasha Vuyachich for 3 years, it was even announced about their wedding, but in the fall of 2012 the couple broke up. Then Maria had an affair with the tennis player from Bulgaria, Grigor Dimitrov, who is 4 years younger than her. Their relationship lasted until mid-2015. Recently, Sharapova's ex-boyfriend was spotted with Nicole Scherzinger in the jewelry store Gold For Ever in Italy, and Nicole tried on a ring on the ring finger! Nicole Scherzinger (38) and the former boyfriend of Maria Sharapova (29) tennis player Grigor Dimitrov (25) have been together for less than a year, but, it seems, they are ready to take a serious step - to get married. We hope, soon the couple will announce the engagement! In the spring of last year, after the announcement of the disqualification Maria was rumored to have been cozying up to ex-boyfriend of Kylie Minogue, Spanish model Andres Velencoso. Recall, Maria recently took part in a photo shoot for the Vogue. The author of the picture of the tennis player in the swimsuit was Annie Leibovitz! The photo turned out to be very atmospheric, and Maria herself looks irreproachable.